How do chat notifications work? OpenLearning's chat (or direct messaging) feature allows users enroled in the same cohorts to send private messages to one another. What happens when someone sends me a message while I'm online? If another user sends a message to you while you're in online mode, the pop-up window will appear immediately. What if I'm offline when someone sends me a message? 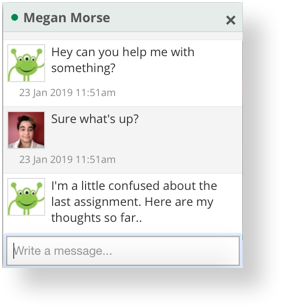 If someone sends you a message while you're in offline mode or simply not logged into OL at the time, OpenLearning sends a system email about the unread chat messages approximately 1-2 days after the message has been left. What if my chat is on but I'm not currently logged into OL? 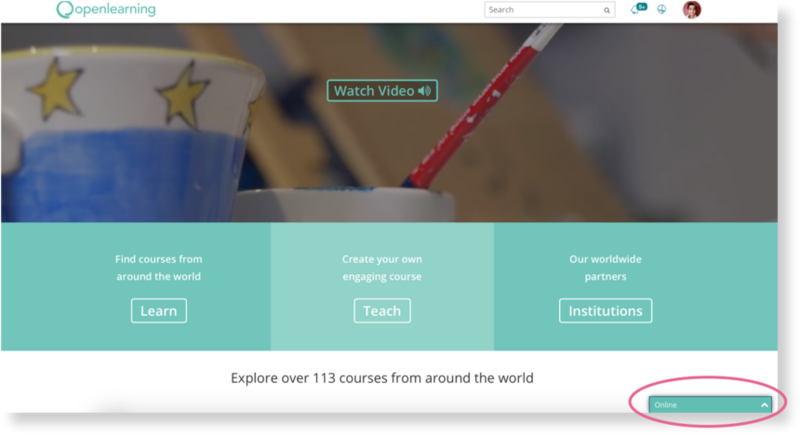 If a user sends a chat message to you while your chat is in online mode but you are not on OpenLearning's website, the pop-up window with the chat message will appear for you the next time you log into OpenLearning. How do I enable chat (or direct messaging)?